File Integrity Monitoring is the process of validating the integrity of operating system or application software files using a verification method based on the comparison of the current file state and a known good baseline. Dan Parriott is an OSSEC contributor who has been using the open source solution since 2006. He is a self-proclaimed prolific list poster and occasional bug hunter. 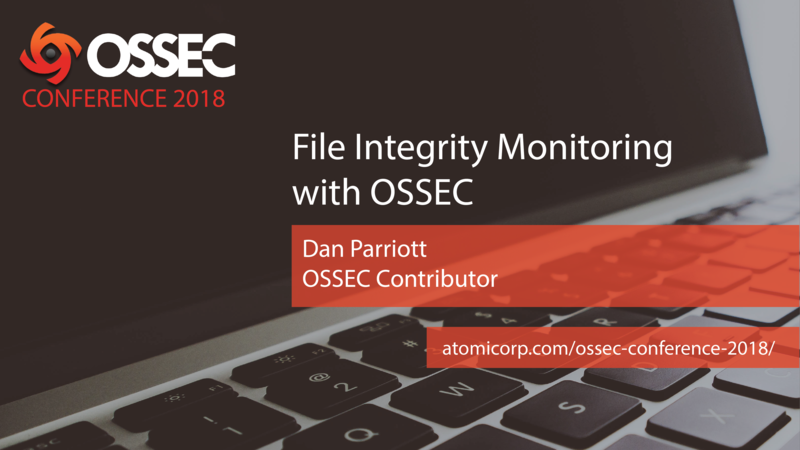 During the recent OSSEC Conference 2018, Dan spoke on “The Good, the Bad, the Ugly, and the Future” of File Integrity Monitoring in OSSEC.